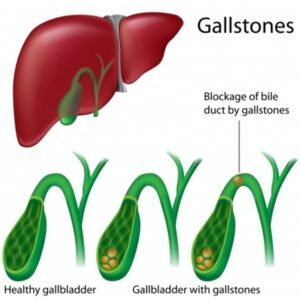 Gall stones can block the bile duct which then cause pain. The pain can be severe and last for hours. There can be nausea and vomiting and the pain can radiate to the right shoulder or behind the back to the shoulder blade. Many people report a flare up of the pain after a fatty meal. Cholecystitis or inflammation of the gall bladder can become problematic if the gall bladder stones becomes too large or get lodged. The gall bladder plays a role with digestion via secreting bile for the small intestine. The World Health Organisation recommends and endorses acupuncture for the treatment of Gall Bladder related pain from stones and cholecystitis. Acupuncture has been researched successfully on numerous occasions for its validity in reducing pain and acupuncture can help for biliary pain as well. Chinese herbs are also used in the treatment to breakdown and dissolve stones. Ultrasound and scans are used to determine the size and location of stones. It is not uncommon to find stones in people but they have relatively few symptoms. Surgery is the main treatment but many people do not like the idea of having their gall bladder removed. 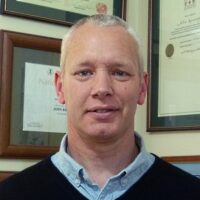 Watch this video for Heiko Lade discussing Acupuncture and the Gall Bladder – one episode of his Acupuncture On Air Radio Show on Radio Kidnappers. Many people have symptoms for years that come and go with alternating mild or intense painful episodes. The pain is treated with Non-Steroidal Anti-inflammatory Drugs or Diclofenac but long term use of either of these medications have side effects. An interesting western medical observation is that statistically more gall bladder attacks occur at or round midnight. Chinese medicine has an explanation for this phenomenon. Ancient Chinese medical physicians attributed a peak energy time of the day for each organ. For example, the peak energy time for the stomach is between 7 am and 9 am which is the best time to eat the biggest meal of the day. The gall balder time is between 11 pm and 1 am. If the gall bladder is overloaded with stones, it would more likely become aggravated around this time and especially if they have had a large rich fatty meal late at night. 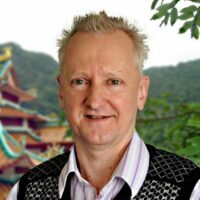 Thomas Lin, a well-known acupuncturist in Riccarton, Christchurch worked for many years in a Chinese hospital before moving to New Zealand. He said “When we were on night shift, we often used to joke to each other and say, ‘I wonder how many gall bladder attacks we will get tonight at our midnight break’ ”. The gall bladder according to Chinese medical theory also controls decision making and ancient texts said that those people with a weak gallbladder lack sufficient courage to deal with normal life issues. Acupuncturists still treat these issues of indecision and lack of courage today with acupuncture. Ironically, in medieval Europe, they believed the same thing. There are many quotes from medieval England similar to “He has doth no gall to carry out such action”. The famous English herbalist, Culpepper, also made numerous references to herbs that treat the gall bladder and courage. It would indeed be a courageous step for someone to take to have their gallbladder stones treated with acupuncture and Chinese herbs instead of opting for surgery.